I went to my first farm/estate auction today. It was brutally hot, and I didn't get the rocking chair I wanted, but I did get some great stuff. Vented gas cans, never used... USMC Jerry cans, never used... a wonderful Columbian vise... some garden tools... a cowbell... and a few other things. My best finds were a $5 box that had an old coal miners acetylene torch hat, that looks like it may still be functional, and a 110 lb Columbian anvil that is in great shape. Near as I can tell, I think it was made sometime before 1925. I've been wanting to try blacksmithing, and now I have a great way to start. It only cost me $75, and it would probably have sold for closer to $200 with the right crowd. Anyway, I'm posting a YouTube video about my auction finds. I'll come back tomorrow with the link. This past Saturday I was in Appomattox (where Lee surrendered to Grant) for the state Search & Rescue conference. If I hadn't gone there, I was thinking of going up to Colonial Beach, Va. for a Jeep cruise in thing. I was going to drive my 72 Commando up and drive on the Potomac River beach with Jeeps from WWII restorations to the latest and greatest. We had some crazy weather come through over the course of the weekend. Colonial Beach got hammered Friday evening. The small town had roads blocked, houses and businesses destroyed, and a nighttime curfew in place. They are still cleaning up. Around here we expect late summer/early fall hurricanes and winter ice storms. These out of season freak storms can be devastating, especially for those not prepared. Just some quick thoughts... Keep that blackout kit handy year round. Check your generator once a month. Keep your gutters clean. Maintain that 72 hour kit - go through it a couple times a year. 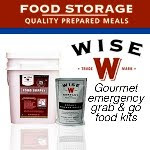 Have an evacuation plan with family bug out bags and emergency document copies ready to go. Disasters can and do hit any time. Folks in the Lone Star State can save a little money on their disaster preps this weekend. They are tax free. Stick it to the man and stock up the larder! Also from Texas today is a story about the folks at Sheepdog Seminars and their safety programs for churches. I'd encourage anyone active in a church to look at them for some great information and instruction. 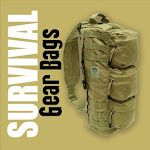 I've added a separate 10 C's gear Amazon page with everything I talk about in the presentation. I'm going to try and video the talk and get it up on the YouTube channel if all goes right.